Dragonridge wines are grown and made on Fynbos Estate, about an hour's drive north of Cape Town in the Swartland, near Malmesbury.  Set in a kloof of the Paardeberg, Fynbos Estate has become a favourite destination for those with a love of nature and countryside, comfortable yet simple accommodation and fine quality food and wine. In addition to our natural wines, the farm has approximately 900 olive trees from which we make various olive products. Like the name Dragonridge, our olive oil is particularly potent and quite peppery – made in the European tradition for taste and longevity. Our Extra Virgin Olive Oil is available for sale in the Online Shop. The Paardeberg is a natural paradise, which we feel passionate about protecting and conserving. To this end, the farm not only forms part of the Paardeberg Conservancy, an initiative set up by some landowners in the area, but in 2013 we became a Contract Nature reserve under the auspices of Cape Nature. The Simson- Simons Nature Reserve is named after the two brothers: Denis and Gerry Simson (father and uncle to Diana) and Johan’ parents. Jack and Ray (Alexander) Simons. Fynbos Estate nestles between Dragonridge and Sonkop Peak, both of which form part of the Paardeberg Mountain. The Paardeberg is a granite mountain with an extraordinary mix of unique vegetation, which is a botanist’s heaven. The plants on the mountain include Strandveld (‘coastal plants’), Cape Mountain fynbos (‘fine bush’, which is found only in the Western Cape), and renosterveld (‘rhinoceros bush’, whose dark appearance gives the region its name, Swartland or ‘black land’).